I received this wonderful cookbook for Christmas this year, and I have to say it is fast becoming my favourite Christmas gift. 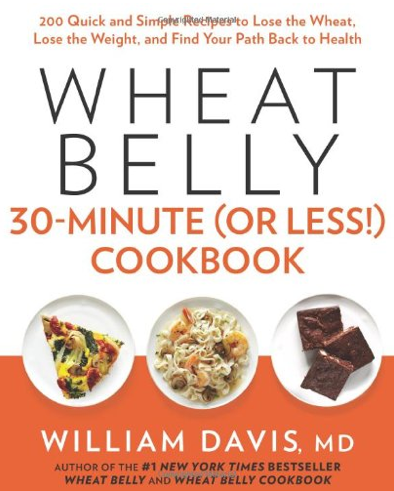 Just as Dr. William Davis revolutionized our thinking on consuming grains several years ago with his Wheat Belly book, and then taught us how to cook alternatives in his Wheat Belly Cookbook, he has yet again published what I think will be another revolutionary book. This time because he has taken his beliefs and made them so easy to incorporate into our lives. Anyone has 30 minutes to cook a meal, right? It often takes longer than that to go to a fast food place! All of these recipes are not only delicious, but simple and easy to make. 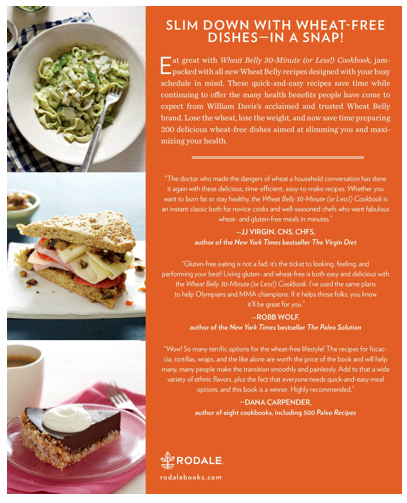 His goal, as he says in the introduction is "to allow you and your family to enjoy all the variety, flavor, and health benefits of wheatlessness without sacrificing the conveniences of modern lifestyles." The nice thing about Dr. Davis and his program is that it fits into both the Paleo and the Low Carb lifestyle. 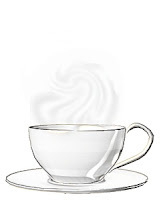 All the recipes "were developed .... to be healthy and to keep carbohydrate exposure low. Most of the recipes therefore provide a "net" carbohydrate content of no more than 15 grams per serving ....All recipes, in addition to being wheat-free, are also free of other grains, contain little to no added sugars, use sugar and carbohydrate sources such as fruit sparingly, and likewise use starchy legumes as sparingly as possible." This sounds absolutely perfect if you are worried about your weight as well as your health. At the beginning of this book is a great section on how to set up your kitchen, which foods to avoid and which to stock. He also has a section on replacement foods for people who suffer from other food sensitivities, and also a basic list of tools. All of this information is super useful for those who haven't done much cooking and feel intimidated by the prospect. Dr. Davis shows you that it can be easy and fun. In order to stick within his 30 minute plan he has various strategies. Adding different sauces, dressings and dips that can add variety to plain broiled or grilled seafood, poultry or meat is one of them, and you will find a large selection of these recipes here. Another of his time-saving strategies are his recipes for basic mixes. 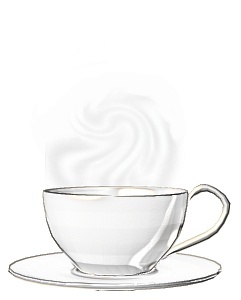 These make it possible for you to not only create main courses but also wonderful baked goods and desserts within his 30 minute time frame. He is adamant about his belief that we should all shun the usual gluten-free flours that are found in most gluten-free cookbooks - cornstarch, rice starch/flour, potato starch, and tapioca starch - because they have an even grated impact on our blood sugar than wheat. Instead his basic mix contains only 4 ingredients - almond flour, ground flaxseed, coconut flour and baking soda. But the variety of goods that you can make with this simple mix is truly amazing. How about focaccia, cinnamon-pecan scones and Key Lime cupcakes for starters? Looking though this cookbook I can see that Dr. Davis has really given all of us who don't want to give up our baked goods and desserts a true alternative, not just to eat healthier, but to also lose weight in the process. Since he already went into great detail about why you shouldn't eat wheat in his Wheat Belly book, and also gave you a brief summary in his first cookbook, you won't find this information here, so if you haven't read his previous books I strongly suggest you do. And once he has convinced you - as he has already convinced thousands of others - that you absolutely must give up wheat as well as other grains, come back to this newest 30 minute cookbook. I think it's the perfect place to start to put these ideas into practise. This book reiterates exactly what I have always maintained in my posts. 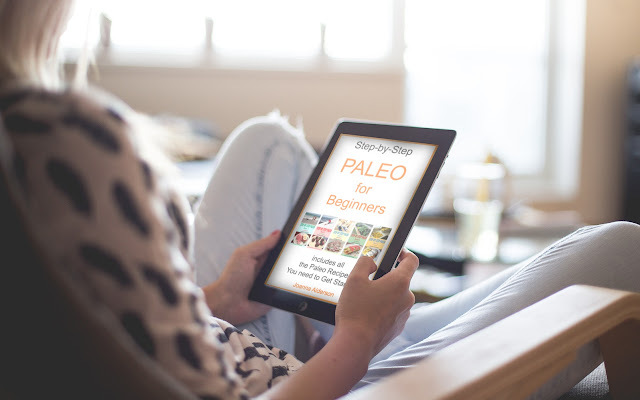 Paleo eating can not only be simple, quick and easy ..... it can also be delicious as well.